With place names such as Glasgow, Alps, Egypt, Bengal, Calabar, Berlin, Blenheim, Cardif, etc, it might seem possible within the short 146 mile length of Jamaica, to do international travel. In Lorna Goodison’s poem ‘To Us All Flowers Are Roses’ – a mantra of Jamaica’s unusual place names – she comes to the conclusion that ‘everywhere is here’. There is an essay to be done – even an entire dissertation – by an ambitious social geographer perhaps, that looks at how inner-city communities in Jamaica, plagued by violence often imagine themselves as war zones, taking on the names of international sites of conflict. In August Town, for example, there is a section called Angola, or simply Gola. Also in August Town is Vietnam. In Downtown, Kingston there is Tel Aviv. 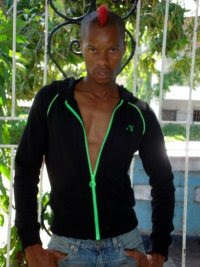 And most recently in Portmore, Jamaica – there is Gaza. 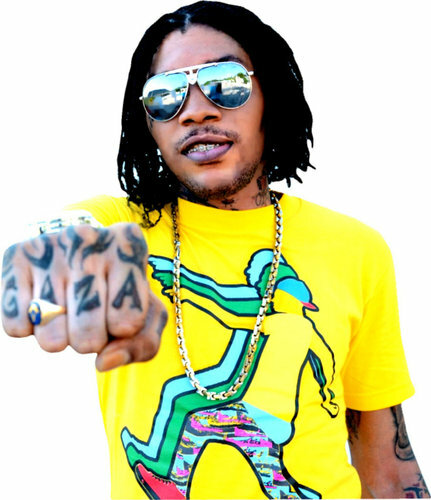 Gaza was named by the now incarcerated dancehall artiste, Vybz Kartel. We imagine a site of bullets, blood, murder, violence and a people under siege. But there is another story as well. The very reason the section of Portmore was renamed Gaza marks it as a site of another equally interesting war. Give thanks to Jamaican/Indian blogger, Annie Paul, who digs a little deeper than the typical local journalist and gives us the story of this name. The community was origincally called Borderline. But then something strange happened — a play called ‘Bashment Granny’. Bashment Granny introduced the character of Shebada to the stage and to the world. Shebada complicates the idea of a Jamaican intolerance towards queer figures, for the popularity of Shebada in Jamaica is similar to the popularity of ‘Madea’ in black American culture. Thousands flock to see the latest Shebada play as. But equally incredible is the backlash. The name ‘Shebada’ is called out in many dancehall songs as figure of scorn and ridicule, a symbol on which the sometimes aggressively masculine music pours its worst vitriol. I’m being careful in using that word ‘queer’ — because Shebada isn’t NECESSARILY gay. His is simply a flamboyance that is not traditionally performed by a male figure. Shebada complicates gender performance, not necessarily sexuality. The very name highlights a complicated gender dynamic. SHE – supposedly feminine, BAD – supposedly masculine. Indeed the ‘badness’ of this male/she figure allows him to defend himself from the various attacks lobbied at him. One could argue that Shebada prefigures another gender performance Jamaicans would see and frown at a decade later — that of the homeless gay boys of New Kingston – undoubtedly one of the most pressing Human Rights situation in Jamaica right now. This largely transgendered community have been cast out from their homes, have been forced to live in the gutters, and have been driven to prostitution and other crimes. They live in the midst of a hostile environment, and so defend themselves with knives, with stones, and most daringly, with a flamboyance that is not dissimilar to Shebada’s. One of the most popular and hilarious moments in the play Bashment Granny comes when a police officer is shocked at Shebada’s gender-bending ways. When he asks to frisk Shebada, Shebada makes himself overly available by lifting one leg almost over his head and placing it against the wall. It is moving torwards a full split worthy of any gymnast or contortionist. The officer’s own masculinity would be in question if he frisks the character in this position and so he barks, ‘Yu a man, or yu a woman! ?’ (Are you a man or are you a woman?). And Shebada, rotating his neck, famously responds, ‘Mi deh pon de BORDERLINE!’ (I am on the borderline). This is how the name of a violent inner city community in Jamaica was corrupted. No bad man could claim with authority that he was from Borderline. The name had to be changed promptly. And so it was, ‘Gaza, Jamaica’ came into existence. The name Gaza then marks it as site not only of violence, but a place where masculinity is defended. Like the conflict in the Middle East, the war in Gaza, Jamaica ebbs and flow. But just this week, things escalated. A new documentary that looks on the plight of the homeless transgendered community came out and accompanying it is a new and very controversial music video. 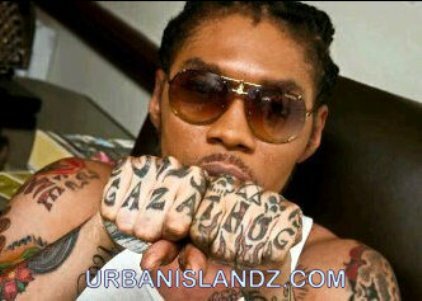 The music is a 2011 song from none other than Vybz Kartel – the very man who renamed his community and rescued it from the stigma of ‘Borderline’. Everyone will agree that the video is beautifully shot – the cinematography amazing – but its message affirming the strength and independence of ‘beautiful girls’ while featuring Jamaican cross-dressers – boys? girls? who exist even more obviously than Shebada on the proverbial gender borderline, has naturally angered many Kartel and Gaza fans. Of course this is exactly what the producer, NOISEY, wanted to achieve. There are real questions to be answered about copyright, license, appropriation, endorsement etc. While Vice justly has the license to use the song, there are other processes of getting the artiste to sign off that were purposely ignored. Still, whatever comes of that, Noisey has effectively reminded us all of the stigma that Borderline once escaped. He has reminded us of the specific kind of war site Gaza is in Jamaica. And there seems to be no escaping things this time. A kind of war is happening on the Caribbean island. Like the worst wars, this is one in which people have been displaced, de-homed, have been forced to live in the middle of threatening environments, and are sometimes killed. In this way, Gaza is not just a place in Jamaica; it is Jamaica. In the same that Babylon is Jamaica. And there, the war rages on. Very educational and thought stimulating post. Thank you!